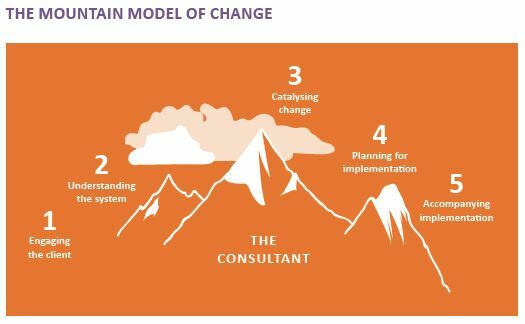 INTRAC designed and managed the Consultants for Change (C4C) programme, an innovative and participatory professional development programme for civil society professionals. C4C aimed to develop a cohort of individuals to provide sustainable services to non-governmental and civil society organisations in their own countries. The programme was a unique funded training opportunity, with 38 participants from 6 geographical areas (Malaysia, Indonesia, Kyrgyzstan, Lebanon, Tanzania and the Occupied Palestinian Territories) who benefited from face-to-face trainings delivered periodically through 2016 and 2017. This was complemented by action learning sets, feedback on associated coursework, mentoring, and access to online resources. INTRAC’s approach to training is one that delivers courses that are innovative, participatory and tailored according to the participants’ needs. All our courses are practitioner-oriented and are delivered using a variety of methods based on action learning principles such as case studies, group work, role play and peer support. We believe that building the capacity of individuals will help to strengthen civil society and organisations seeking to achieve change as sustainably and effectively as possible. Understand the value, role and contribution of consultancy to civil society and NGO strengthening and improvement. Have a core understanding of the processes of consultancy, best practice and the qualities of a good consultant. Have acquired the core skills for managing a consultancy assignment competently and deliver outcomes to a high standard. These outcomes could include assessments, evaluations, workshops and seminars, consultation and review. Have the skills and knowledge to engage a client in a process of organisational change and development where the client and their respective stakeholders own and drive the process of change. Have gained the awareness and skills for doing their own learning, personal critical reflection and self-development. C4C was managed by INTRAC and was funded by Nama Foundation over a two year period from January 2016 to December 2017.